1. 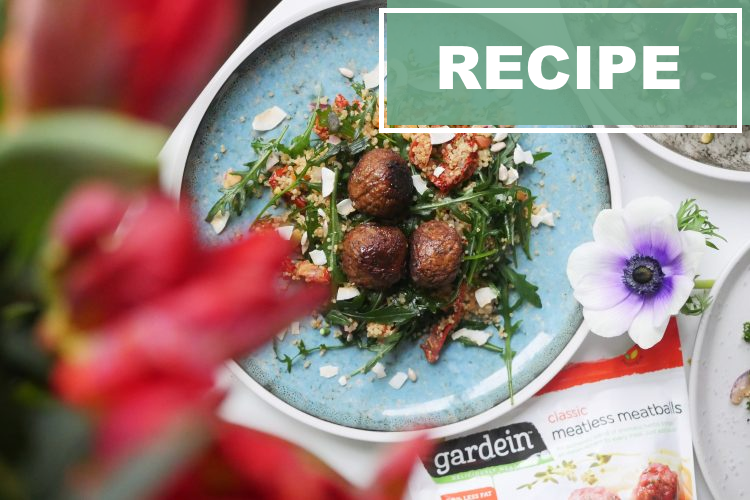 Cook the Meatless Meatballs by following the instructions on the packaging. 2. Boil the couscous by following the instructions on the packaging. 3. Cut the red onion and tomatoes into small pieces. 4. Mix all the ingredients in a big bowl with the couscous. 5. Top it with Coconut flakes and Meatless Meatballs.